MTS India has today announced the launch of a range of competitive and value for money data plans for MTS MBlaze customers across Mumbai, Maharashtra & Goa Circle. 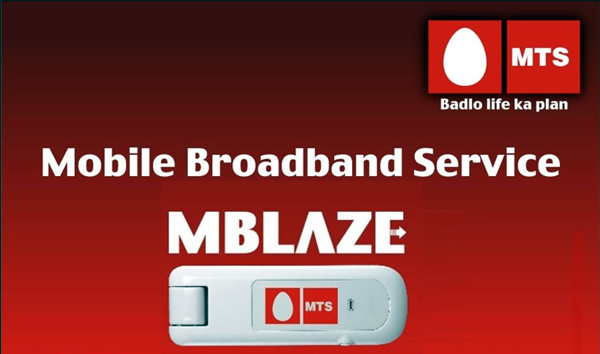 MTS has announced MBlaze Data plans in denominations ranging from Rs 96 to Rs 1499, which includes old plans with increased data usage while new plans have also been introduced with good amount of data which are all aimed to provide greater benefits to customers. MTS has increased the data usage of plans like 98, 248 and 998 to 1 GB Unlimited with one day validity, 1GB for 30 days and 6 GB with 90 days of validity from the previous data limit of 0.5 GB unlimited, 350 MB and 3 GB respectively. New plans which are priced at 490, 698 and 1499 have also been introduced with 3 GB for 30days, 4GB for 60 days and 15 GB with 90 days of validity respectively. MTS MBlaze customers in Mumbai, Maharashtra & Goa Circle can avail these tariff plans through a retail network of over 14000 retailers and 95 MTS branded retail outlets.